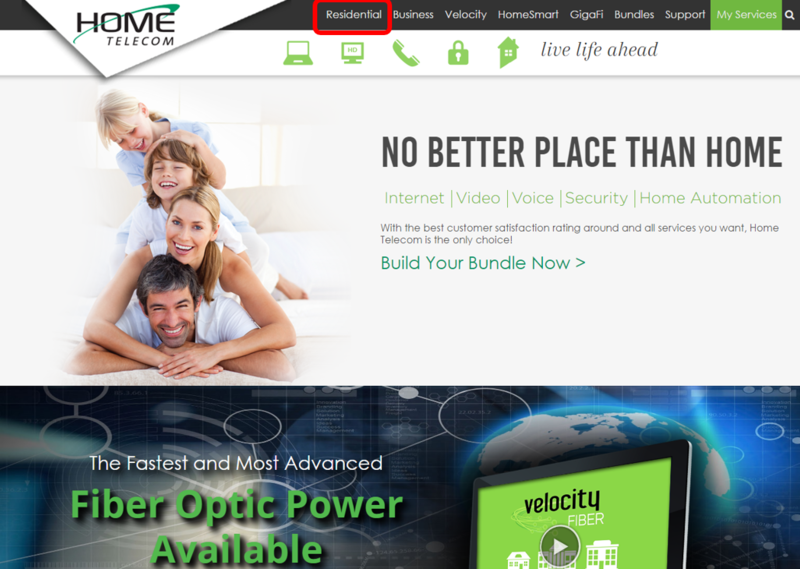 Visit HomeSC.com then click the "Residential" button on the top menu bar. Scroll down and click the "Register now!" link in the HomeTV2Go section. 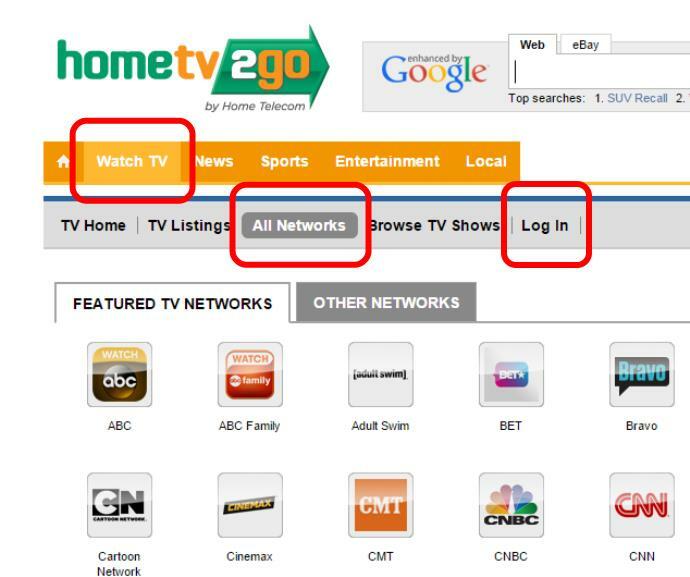 If you have already registered, click the HomeTV2Go icon to browse all networks available. 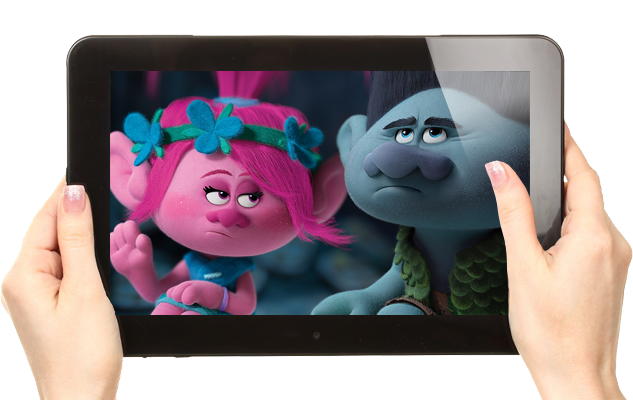 HomeTV2Go.com is your one-stop-shop for news, local events and Video programming! You will find a list of Video programming available if you click on "Watch TV" then "All Networks". 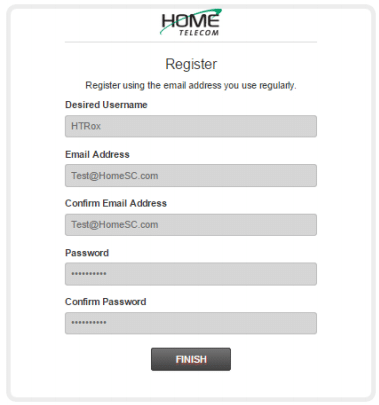 To log in or create your HomeTV2Go username and password, click "Log In" on the gray menu bar. 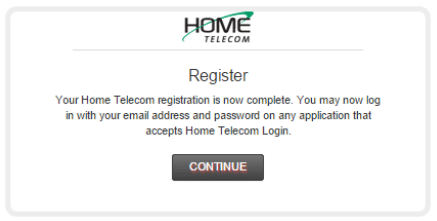 In order to complete your registration, click the "Don't have an account? Register" link. 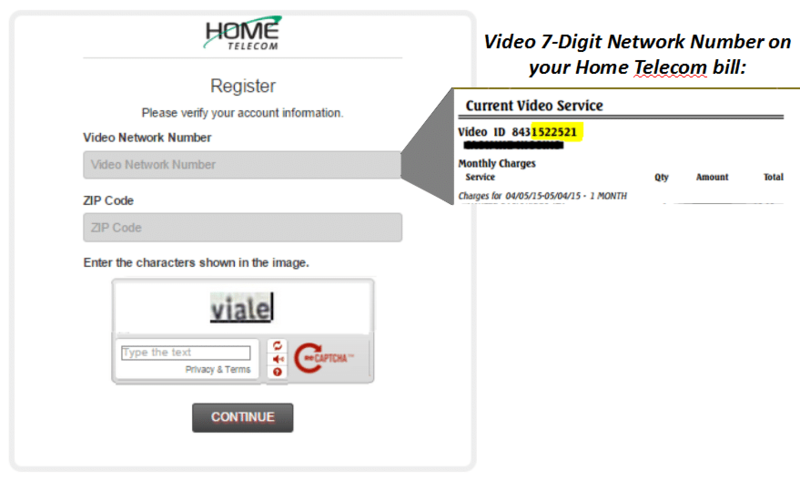 Please enter the last 7 digits of your 10 digit Video ID number located on the Video portion of your monthly bill and your billing zip code. Be sure to add the characters in the box before hitting continue. To get a new set of characters, click the refresh button on the right. You will need to fill in all the fields in order to complete your registration. Click "FINISH". Congratulations! 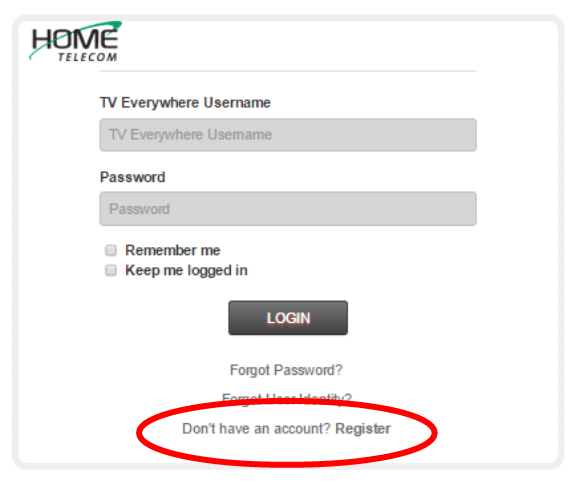 You are now registered with HomeTV2Go!